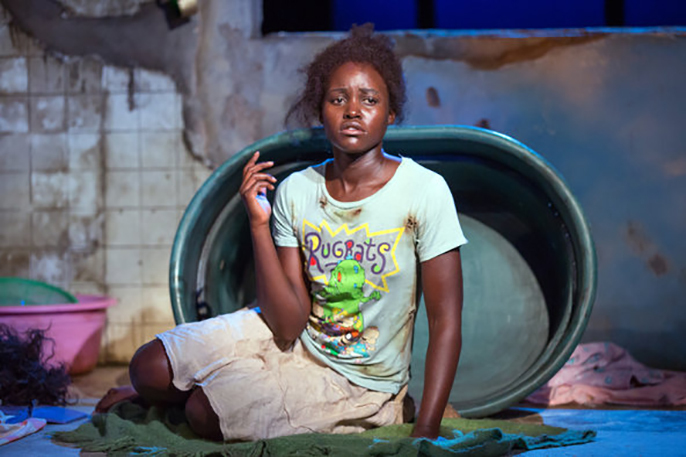 On the heels of her Academy Award-winning breakout performance in 12 Years a Slave The Guardianstar of AMC’s “The Walking Dead” and co-author of In the Continuum LUPITA NYONG'O stunned critics and audiences in the Public Theater's sold-out hit ECLIPSED —the “scorching and powerful” new play by Zimbabwean-American playwright and actress DANAI GURIRA . Now the global star makes her Broadway debut in this “must-see” production written directed and performed entirely by female artists. 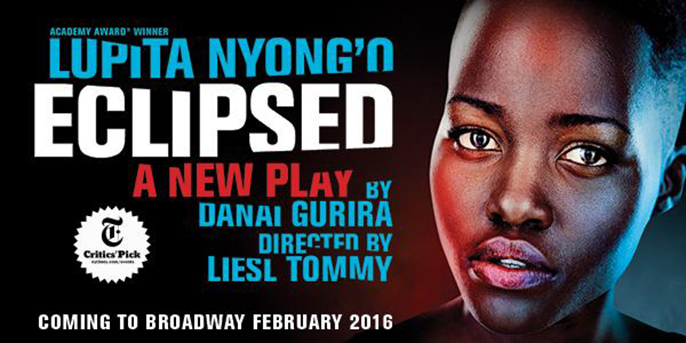 ECLIPSED is the story of five extraordinary women brought together by upheaval in their homeland of Liberia. They forge a close-knit community... one that inspires them to feats of increasingly greater strength. Directed by South African-born LIESL TOMMY ECLIPSED is a stirring tale of hope humor and resilience—and the only new play by a woman on Broadway this season.